Our campground boasts many convenient communal bathrooms with warm standing showers. 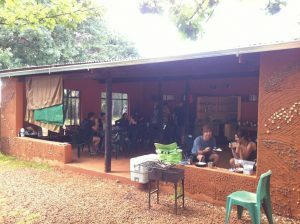 Campers may choose to cook their own food using our braai facilities or sign up for delicious meals from our dining room. Campers, of course, have access to all of our amenities: you can coordinate your day’s activities with our reception office; you can unwind at our coffee shop or have a drink at our bar; you can even share the travel pictures burning a hole in your phone with friends and family back home using our wifi. Spring water is available to all campers from containers in the communal kitchens. The water in these containers is refreshed every day and you can use it to drink and brush your teeth. 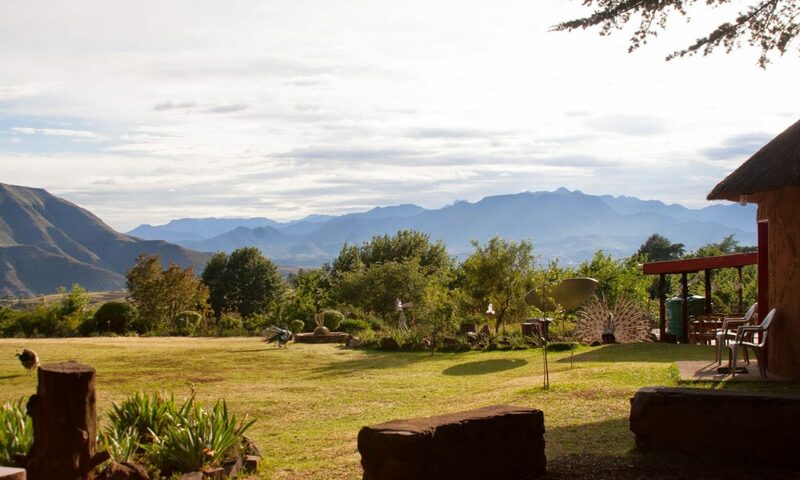 You’ll find that it’s a special kind of adventurous traveler who camps in Malealea. 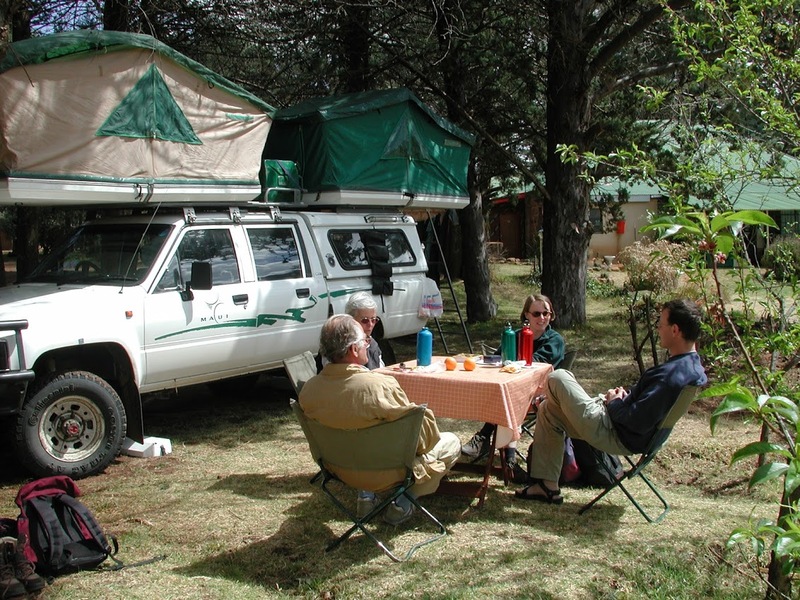 One of the glories of camping is the permanently festive atmosphere that arises between kindred spirits. Enjoy a roaring evening bonfire and share your musings from the day’s treks. Compare notes, suggestions, and stories with your fellow campers. After a few days of witnessing the extraordinary sights in our mountains and valleys and the culture in our village, you will be buzzing to share. If you are interested in camping with us, book your spot on our campground today! 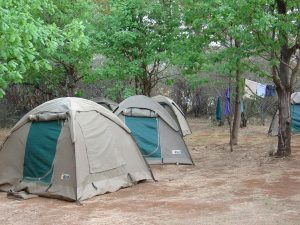 If camping is not quite what you have in mind for you time in Malealea, we have plenty of other options for every budget and comfort level. Please check out our other offerings.